At 3 a.m. on New Year’s Day, just hours after the big ball dropped in the heart of New York City, a Chevy Impala was found smashed into a pole outside of Dayton, Ohio. 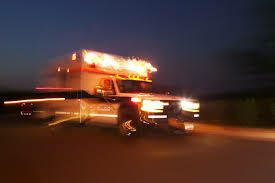 First responders to the accident couldn’t locate the body, leading them to believe that the driver had simply run away, fearful of the possible consequences. Six hours later, however, the driver was found screaming for help in the vehicle’s footwell. 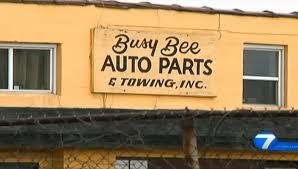 According to reports, the man– who has yet to be identified– was found at the tow yard by an employee of the Busy Bee towing company. The worker claims to have seen the man laying on the car floor, trapped under the dashboard, while the car was still elevated on the flatbed. Police claim to have searched for the lost driver for 90 minutes after finding the accident and said they won’t speculate on what may have happened. They will spend the next 30 days investigating the matter. Some, including the Busy Bee employee, believe that the driver climbed to the lot and back into the vehicle. This explanation seems plausible, considering that the tow lot was only 500 yards from the accident. After being spotted, the driver was immediately taken to the hospital and treated for severe leg wounds. He is now in critical condition. As far as what happened that night, it still remains a mystery. What do you think happened? Let us know in the comments below. This entry was posted in Culture and tagged Busy Bee towing company, Chevy Impala, Dayton, New Year's Day, Ohio, vehicle's footwell. Bookmark the permalink.